The G’Vine brand world is born from our French culture and roots – a nation that is recognised universally as one not afraid to push boundaries in the pursuit of excellence in arts, cuisine and style. G'Vine's world is a timeless, chic world of modern French unconventional creativity. Inspired by fashion, film and art, G'Vine build a playful and aspirational escape that combines the famous urban attitude of French creativeness & sophistication, with the effortless chic of the South West coastal or relaxed yet refines country escapes, all woven together with the rich terroir and craft of Cognac. To make it uniquely G’Vine always look at things through a different lens, one of a unconventional spirit. While most gins are made with grain, G’Vine Gin is crafted with a grape spirit, a rare ingredient for gin that creates a heady body and full mouth feel. It is the perfect canvas for the ten pure fruit botanicals found in G’Vine Gin to express their complex delicacy. The botanicals, including juniper berries, green cardamom, ginger roots and the exclusive vine flower, are selected for their purity and aroma. G’Vine Gin’s hero botanical is the precious vine flower, which blossoms just once a year in mid-June, and exists for just a few days before maturing into a grape berry. It is handpicked as soon as it blooms to preserve its exhilarating and evocative fragrance for G’Vine Gin. 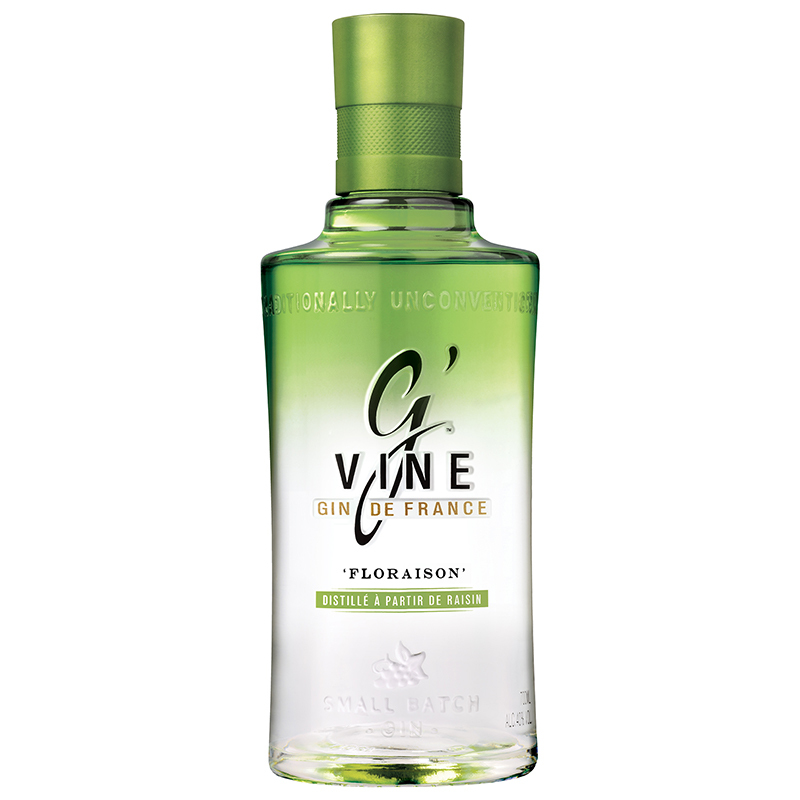 G’Vine Floraison captures the splendour of the vineyards at the end of Spring, when the vine flowers’ enchanting aroma fills the air for a few fleeting days as it blossoms. G’Vine’s rounded and fresh personality makes it the perfect fit for a Gin & Tonic, the drink du jour: simply fill a large wine glass with ice and pour in 40ml of G’Vine Gin. Top with premium tonic water and garnish with three white grapes.